The Roseville Area Youth Lacrosse Association (RAYLA) is committed to engaging youth from the Roseville area (ISD 623) in the sport of lacrosse. 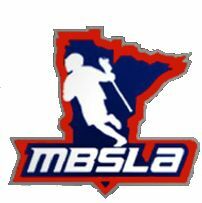 Minnesota Boys Scholastic Lacrosse Association (MBSLA) is the governing body for boys spring youth lacrosse. Minnesota Schoolgirls Scholastics Lacrosse Assocation (MSSLax) is the governing body for girls youth lacrosse. Chat with parents and players, upload photos and get details on game results on the RAYLA Facebook page. US Lacrosse Beginner's Guide: A section on the US Lacrosse website dedicated to providing information for those new to the sport. It includes a video titled "This is Lacrosse" and links to several other resources. US Lacrosse Nationwide Parents Guide: For parents relatively new to the sport. US Lacrosse Parent Handbooks: These handbooks provide basic information to the parents of boys' and girls' youth players. The handbooks provide a helpful glossary of terms for parents that may be new to the game, as well as details explaining the games' rules, field layouts, equipment requirements, and penalties. US Lacrosse Youth Rules: Information on nationwide rules for boys and girls lacrosse. Youth Lacrosse Minnesota (YLM) is the governing body for boys summer youth lacrosse.